Lauren London is one of the famous people who hold multiple sectors as her profession. Lauren who is best reckon as a film and TV actress, hip-hop model, and television personality. Coming forward in the media field through the help of music video, she has been successful in turning her career from music video actress to film actress. She is best known for her remarkable performance in ATL film which was released in the year 2006, along with TV shows 90210, BET Comedy-drama, The Game, and Entourage. What is Lauren London Famous for? An American film actress, model, television personality and occasional television actress. Her performance in the 2006 film ‘ATL’, as well as the television shows ‘90210’ and ‘Entourage’. Who is Nipsey Hussle the rapper, Lauren London Boyfriend? Days after rapper Nipsey Hussle was shot and killed outside of his clothing store last Sunday, his loved ones spoke out for the first time about his shocking death in an interview published Friday with The Los Angeles Times. "I would like for him to be remembered as a humble, spirited, respectful man who had, since his childhood, had an extraordinary and unlimited intellectual capacity," the rapper’s mother Angelique Smith told The Times of her son (real name Ermias Joseph Asghedom). Smith also said that her son was always aware of his talents and "capability" that would lead him to have a successful music career. "He recognized at an early age his own capability. His own potential. He has always known." Despite grieving herself, Smith also said that she finds herself comforting mourners and "chasing away the spirit of fear and grief ... retaliation and anger." "I’ve been at perfect peace," she said. 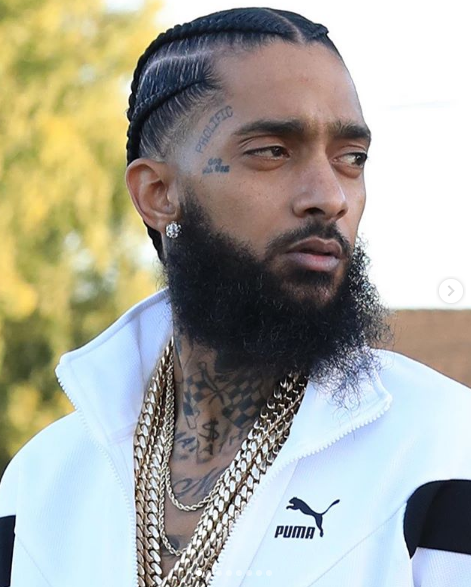 Meanwhile, Hussle's father Dawit Asghedom said he believes his 33-year-old son's death symbolized that he had "completed what he needed to be doing" from God’s plan. "It was like he was sent by God to give some love to bring us together because that’s what his lyrics were saying, always. He’s not shy, to tell the truth even though it might not look good. He wasn’t scared of anything. [God] sent him to send a message,” Asghedom said. “It looks like, 'Your time is up because you have completed what I sent you to do.' We all have a plan, but God has his own plan. So he had completed what he needed to be doing and he did it early so [God] probably want to take him early too." Hussle's brother commended his brother for turning the area they grew up into a "landmark" through his activism. "There’s a lot of politics within the area that we grew up in, but he stayed the course and showed what he was about. He made something work in an area that was run-down, that people were scared to come to, and he turned it into a landmark," said Samiel Asghedom. 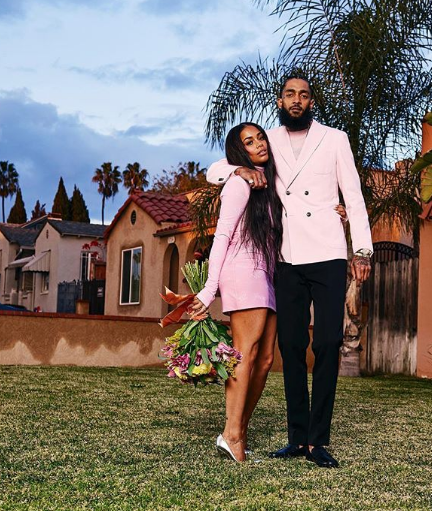 Meanwhile, Hussle’s longtime girlfriend Lauren London, whom he also shares a child with, praised the rapper for always ensuring that "his family came first" and asserts that she will keep her "head high" amid the somber time for their family. "He was a protector and wanted us to be our best at all times. He was a truth seeker and truth speaker." She added: "I’m going to keep my head high and always represent for my king to the fullest. He loved his kids. He was a family man. His family came first." London also mourned his death in an Instagram post, where she expressed how "completely lost" she felt without her "best friend." "I am completely lost. I’ve lost my best friend. My sanctuary. My protector. My soul....I’m lost without you We are lost without you, babe. I have no words," the actress captioned the photos. Eric Ronald Holder, 29, of Los Angeles was arrested Tuesday following a massive manhunt after he allegedly shot and killed Hussle on Sunday afternoon in the area of Slauson Avenue and Crenshaw Boulevard. He was then charged with one count of murder, two counts of attempted murder and one count of possession of a firearm by a felon. The criminal complaint also includes allegations that he personally used a firearm and caused great bodily injury and death, according to the district attorney's office. Holder pleaded not guilty to the charges. Holder is being defended by Christopher Darden, a former prosecutor on the 1992 O.J. Simpson murder trial, The Hollywood Reporter has confirmed. Hussle's death sparked sadness and outrage from the music, sports, and entertainment community. Some of the biggest stars shared their heartbreak and anger via social media, including Meek Mill, Pharrell Williams, Chance the Rapper, Lebron James and Ava DuVernay, among others. What is Lauren London mixed with? Walking back to her early life, Lauren London was born in Los Angeles, California as Lauren Nicole London. Most of the information relating to her early life and childhood is not available at present. There is no information about her father and mother. She is of American nationality. Furthermore, she belongs to the African-American ethnic background. She became interested in the world of acting since her childhood years. Her zodiac sign is Sagittarius. Talking about her education, She attended Palisades High School and later she was homeschooled, giving her time to audition for films, music videos, and commercials. What does Lauren London do for a living? Lauren London has made appearances in numerous music videos for artists such as Tyrese, Ludacris, Pharrell, and Snoop Dogg. She made her television screen debut in the ‘Everybody Hates Funerals’ episode of the sitcom ‘Everybody Hates Chris’. In 2007, she appeared in the TV movie ‘Entourage’. Since then, she has appeared in numerous other movies and television series. All in all, she has over 15 credits as an actress. Some other movies, videos, and television series that London has appeared in are ‘Rebel’, ‘The Perfect Match’, ‘The Game’, ‘Baggage Claim’, ‘Major Lazer: Scare Me’, ‘Single Ladies’, ‘Reed Between the Lines’, ‘Madea’s Big Happy Family’, ‘I Love You, Beth Cooper’, ‘Next Day Air’, and ‘Blokhedz Mission G Animated Web Series’ among others. Additionally, she also has one credit for a soundtrack. Lauren London garnered the Hollywood Award nomination in 2014. Previously, she also garnered the Black Movie Award nomination in 2006 for ‘ATL'. 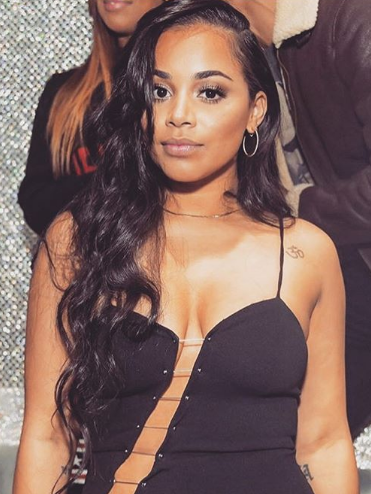 Who is Lauren London dating? Changing some pages of her private life, Lauren London dated Grammy Award-winning rapper Lil Wayne before ending their relationship in January 2009. On May 19, 2009, London announced, through her publicist, that she was pregnant by Wayne, after weeks of speculation. Later, on July 5, 2009, it was confirmed that London was expecting a baby boy. On August 18, 2009, during an interview with Power 106, Lil Wayne confirmed that he was the father of London’s baby. On September 9, 2009, London gave birth to a boy named Cameron Lennox Carter. Since 2013, London has been in a relationship with rapper Nipsey Hussle before his death. On August 31, 2016, she gave birth to the couple’s first child, son Kross Asghedom. As per the sources, this couple got married secretly. But neither of them had confirmed anything about this before Nipsey Hussle murdered. Previously, London dated American Rapper Neef Buck from March 2002 to July 2005. Additionally, she dated American Singer Trey Songz from May 2009 to November 2013. 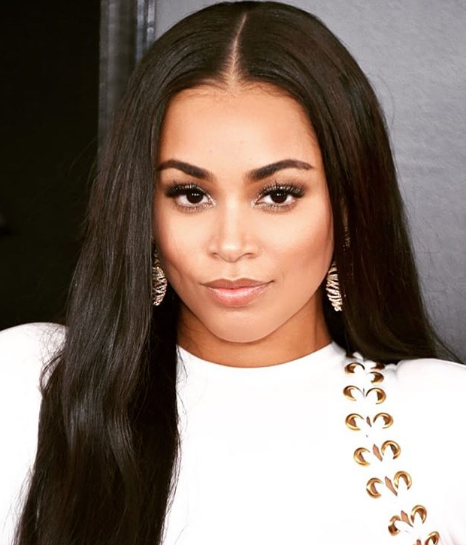 How Much Is Lauren London's net worth? To engage with many fields like movies, videos, and television series, she must accumulate a lot of money from the profession. According to some online sources, her estimated net worth somewhere around $ 8 million dollars at present. However, her salary was not revealed yet. In the case of revealed, we will let you know. What is the body statistics of Lauren London? Covering her body facts and personal life information, Lauren London has been blessed with wondrous body figures. Having played in the number of music videos in the past, her warm presence and immense beauty have been appreciated and admired millions of people. Having a perfect figure, she has the number of photos on the internet showing her flawless body and wearing the only bikini. Lauren London stands a height of 5 feet 2 inches while her body measurement is 35-26-25 inches. She has not gone under any surgery while she has the weight of 119 lbs. Similarly, Her hair color is black and eye color is dark brown. In addition, her dress size is 8 (US) and shoe size is 7 (US). She's a big neo-soul and hip-hop fan and likes going to concerts. Her goal is to be nominated for an Oscar. Her idol is Barbra Streisand.